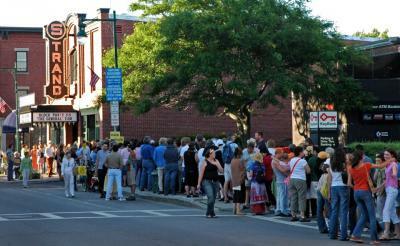 This summer, The Strand Theatre will enter its 8th season as part of the mid coast community. As always, The Strand’s top priority is to serve the needs of our supporters and community by providing the entertainment and experiences our audiences enjoy most. What’s better than asking our friends, customers, and community members? We hope you’ll add your voice to the conversation and take five minutes to complete our survey. Shawn Colvin to release NEW album and memoir June 5th! Singer-songwriter Shawn Colvin, who will perform at the Strand on June 20th, is touring in support of her brand new album "All Fall Down" (produced by Buddy Miller). Colvin also has a new memoir "Diamond In The Rough". Both album and memoir will be released on June 5th. You can read about both HERE. Colvin continues to stand out as a singular and enduring talent. She is a keen stotyteller and a warm-hearted performer, leavening even the toughest tales with tenderness, empathy, and a searing sense of humor, and we are extremely excited to have her perform at the Strand. Don’t miss the rare opportunity to see this amazing performer Live in the intimate setting of the Historic Strand Theatre! Tickets and information HERE. 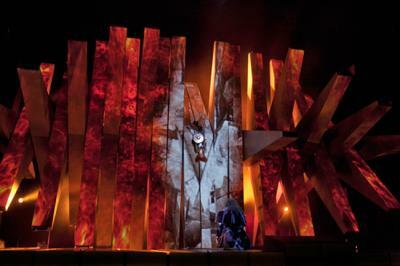 The Ring cycle (Der Ring des Nibelungen), Wagner’s monumental work, was first presented in 1876. This four-part, 16-hour epic features gods and mortals vying for power across a universe that has been envisioned and revisioned by scores of directors over the Ring’s 130 year history. The Met: Live in HD presents an encore of the complete Ring cycle to close the program’s 6th season. A work as immense and complex as Wagner’s epic can seem intimidating—both for directors and audiences alike—and The Met: Live in HD will begin its encore presentation of the Ring by screening Wagner’s Dream, a new documentary film that chronicles the challenges and triumphs of mounting a production of the Ring, on May 7th at 7 PM. The film is both an introduction to the Ring cycle and a rare peek behind the curtain at Robert Lepage’s groundbreaking production. The Met: Live in HD will then present an encore of the complete Ring cycle in four parts, beginning with “Das Rheingold” on Sunday, May 13 at 1 PM. “Die Walkure” will be broadcast Sunday, May 20 at 12:30 PM, followed by “Siegfried” on Sunday, May 27 at 12:30 PM and “Gotterdammerung” on Sunday, June 3 at 12 PM. Visit the official website for Wagner's Dream. Learn more about Wagner's epic Ring cycle. Article in the Portland Press Herald Praises the Strand as "the movie mecca of the midcoast"
"The Strand is like an oasis, a splash of flickering film magic in the Maine wilderness," writes Dennis Perkins for the Portland Press Herald in a recent article about indie film in Maine. Read the full article here. Also, check out our film schedule to see what's coming soon to the big screen. In celebration of National Poetry Month, the Strand Theatre will host an exciting schedule of special poetry-themed films and events. The new award winning documentary film LOUDER THAN A BOMB, and the new Korean drama POETRY will have two special screenings each. In addition, the Strand will present THE EDNA PROJECT, a music and mixed media performance inspired by the poetry of Edna St. Vincent Millay, featuring musicians Liz Queler and Seth Farber. iPad Raffle Winner & Oscar Ballot Winners Announced! contest....Chris Cannella. 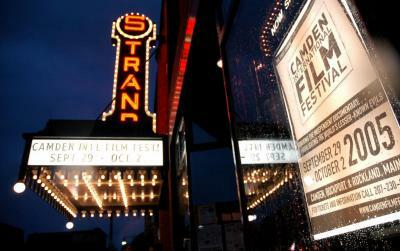 Chris Cannella has won a 10-Pass movie card to the Strand! 4 runners up (who had 6 correct answers) Sharon James, Adam Janosue, Marilyn Breuer, and Roger Dell will receive a Night-At-The-Movies for two! THANK YOU TO ALL THE FILM FANS WHO CAME OUT FOR THIS YEAR'S OSCAR EVENT!